Douglas graduated from Whitman College in Walla Walla, Washington, in 1920, and worked his way cross country in 1922 to enroll in Columbia University Law School. 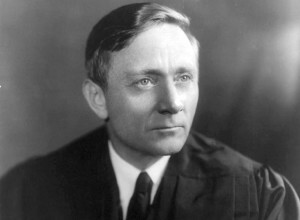 He graduated second in his class, practiced corporate law briefly, taught, worked for the Securities and Exchange Commission, and in 1939 was appointed to the Supreme Court by Franklin Roosevelt. Douglas was an uncompromising defender of the Bill of Rights, especially free speech and the rights of those accused of crimes. His views made him a target of conservatives.